Ryan Betts, Cloud Solutions Architect: Completed my CCNP Data Center! I originally done CCNA Routing and Switching about 4~ years ago when I was working for a Cisco Premium Partner. After that I did CCNA Security as I was doing loads of work with Cisco ASA firewalls, so it made sense. Then when I moved into a more infrastructure-focused role the importance of doing Cisco certifications lessened, so I stopped at CCNA-level, then as you know with certifications if you don't renew them you loose them. With that my original CCNA certifications expired in around May 2014, at the point in time I was heading to Bermuda to work with CCS Group (http://www.ccs.bm/). Part of my original immigration to go to Bermuda had a requirement for me to be Cisco CCNA certified (did not matter which track). At this point all of my other certifications were up to date and good to go except my CCNA, so I had to get back on the Cisco band wagon. CCS Group in Bermuda are/were a Cisco partner, so Cisco UCS and Nexus Switching was something that was being sold and implemented for customers on a regular basis, so with that in mind it made sense to go for the CCNA Data Center. Last July I completed both the exams required to achieve the CCNA Data Center certification, and Bermudian immigration were happy. It was also my intention to go to CCNP-level as I have went to "professional" level with most other vendor certifications. After 11 months of studying (on/off around other certs that were more "important" for the job at hand) I completed the last CCNP DC exam this morning to earn me a CCNP Data Center. To study I used mostly Cisco documentation and for the later part of this year the newly released video material from INE and CBT Nuggets. The INE content is first class, and covers everything you need to know if you were to implement UCS/Nexus in real life, I found (after I failed 642-996) that it was lacking some of the "exam specific" content (but to be fair which training course isn't)? 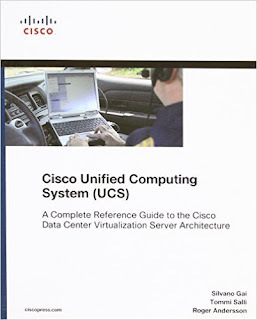 This Cisco Press UCS book is good, but very outdated being released in 2010. It still covers the architecture of Cisco UCS very well, you should either ignore the hardware specific details or map the old hardware that is referenced in this book, to what is now the modern day equivalent. 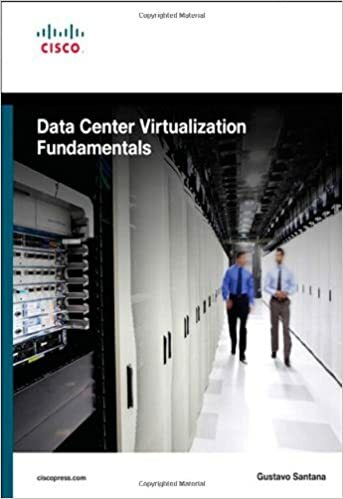 Great book, that you need to pass this certification. Simples. There are also a number of good reference architectures and design guides out on the internet from multiple vendors such as Cisco, NetApp and VMware that really pull together all the dry theory into real world examples. You will also need the Cisco UCS Emulator, unless you have a couple of hundred grands worth of equipment laying around to practice on.